Going Back to Eastway: GenOne CLT — Enderly Coffee Co. The classrooms of Eastway Middle School are dream incubators. With so much potential walking the hallways, the harboring and growing and cultivating and mentoring students’ potential is the question. Ian Joyce and fellow teacher Greg Gabriel set out in 2008 to accomplish this, alone at first. In 2015, just one year after Tony transitioned from full-time Eastway Math teacher to full-blown coffee-roaster, Ian and Greg enlisted Tony’s help to write their own original business plan. What grew was GenOne, which, like Enderly, is all about people minus the coffee (well, maybe a little of our own as Ian sometimes works at our shop). 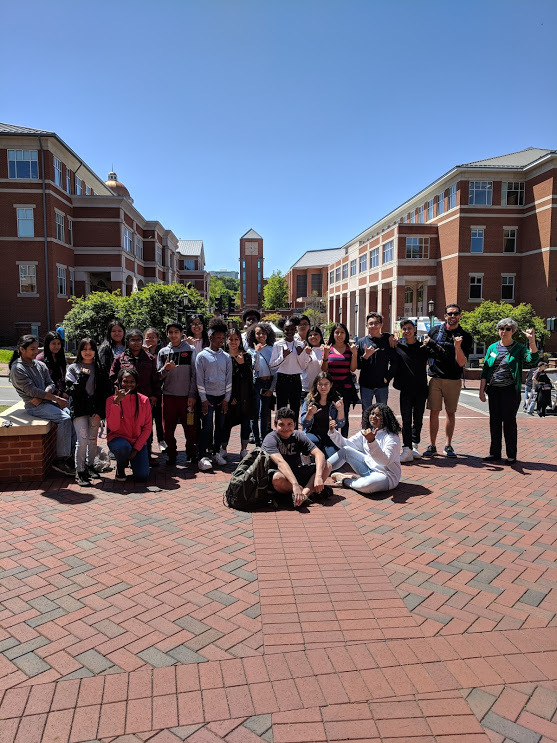 Their mission is to “partner with talented, first generation students from disadvantaged backgrounds, helping them successfully navigate to and through college.” They currently have 70 GenOne scholars partnered with 42 Navigators. Ian and Greg first mentored middle school students for years alone, investing most of their free time in the lives of their students - late nights, weekends. Susanna Pradhan was the first scholar of GenOne and under Gabriel’s tutelage, she earned the Carolina Covenant and now attends UNC-CH. But the energy and sustainability of these mentorships had to be streamlined and maximized, so more students could benefit. GenOne’s vision is part of a grander vision to break cycles of generational poverty in Charlotte, a city which ranks 50/50 in Upward Social Mobility. GenOne provides the social capital and resources needed to equalize the incredible resource gap found between first-generation students in poverty and their affluent peers. We hope they’ll have Navigator meet-ups in our shop - we’re about mentorships, investing in others and great coffee! Pick up a GenOne Blend Bag today! Want to learn more and meet the people involved in GenOne CLT? GenOne CLT is having an event at our coffee shop on April 27th. They will be there from 9am-12pm, so come out and have a chance to engage with this amazing organization.